An all-terrain vehicle (ATV), also known as a quad, quad bike, three-wheeler, or four-wheeler, is defined by the American National Standards Institute (ANSI) as a vehicle that travels on low-pressure tires, with a seat that is straddled by the operator, along with handlebars for steering control. As the name implies, it is designed to handle a wider variety of terrain than most other vehicles. Although it is a street-legal vehicle in some countries, it is not street legal within most states and provinces of Australia, the United States, Canada, or the United Kingdom. 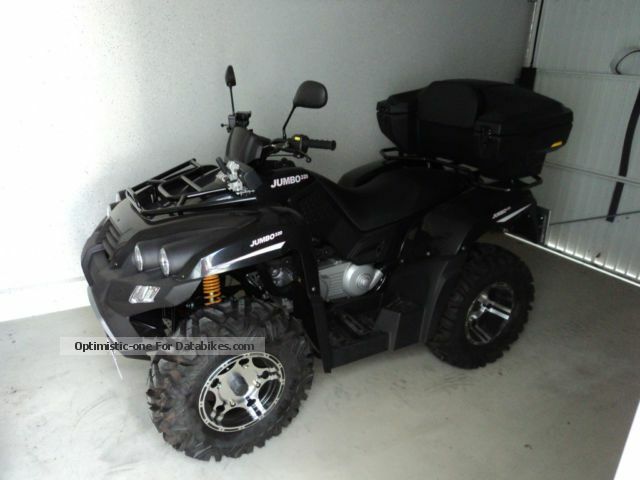 In the UK, a recent variant class of ATV is now road-legal, but there are few models available in this class.